Dylan Lewis has emerged as one of the foremost figures in contemporary sculpture and his monumental sculptures are featured in private collections throughout the UK, Europe, the United States and Australia. He is one of only a handful of living artists to have had more than one solo auction with Christie’s in London. Lewis’s overriding inspiration is the wilderness. 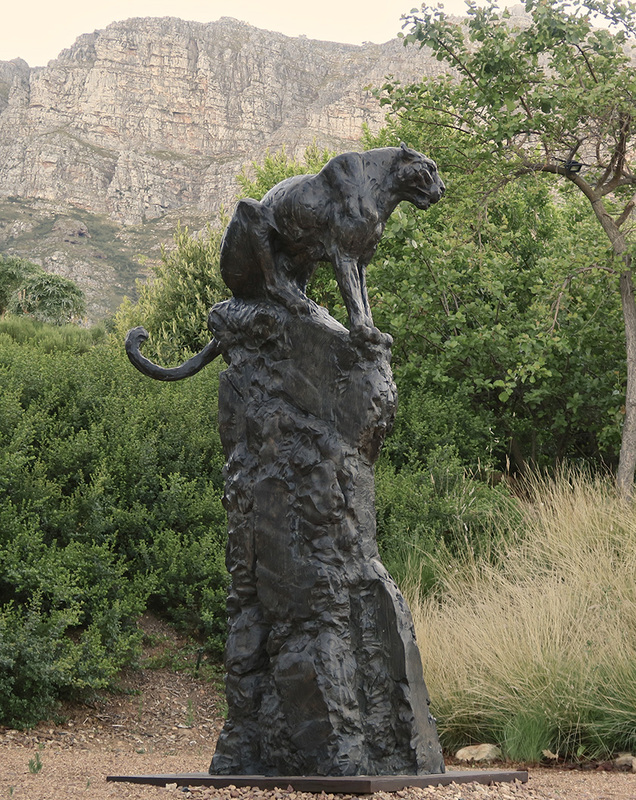 His bronze sculptures celebrate the power and movement of Africa’s life forms, while the textures speak of the continent’s primeval, rugged landscapes and their ancient rhythms. He works intensively from life, filling books with sketches, notes and drawings. By referring to these in the solitude of his studio, he is able to reproduce the subject’s physical form while exploring more abstract perspectives and the animals’ deeper significance as wild creatures. “The leopard is my totem. The protection of this species, supported by organisations like the Cape Leopard Trust, may ensure its survival in the wild and safeguard the biological viability of natural ecosystems, but it does so much more than that: every time I see a photo of a leopard taken by a camera trap set in the mountains near my home, I feel strangely elated. I am reminded that the leopard – or that part of my psyche which is wild and free – still lives in me, and that, like its wild counterpart in the mountains, resists the enormous pressure to conform and be tamed”.